February 07, 2018, 9:48 a.m. So what has happened to the carrier’s consumer perception since September when it was beset by flight cancellations and issues surrounding pilot holiday? 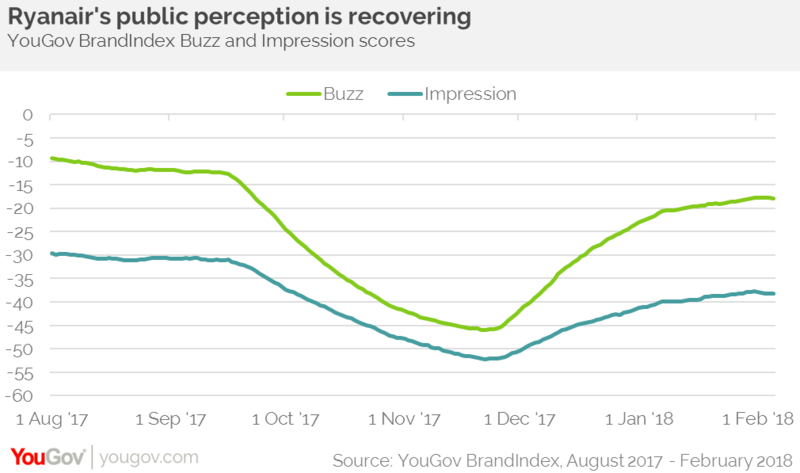 YouGov brand tracking data indicates that following its difficulties in early autumn, the airline’s impression score (whether someone has a positive impression of the brand) dropped from negative 31 to negative 52 among the general public. Since that time, with operations back on track and a spell out of the headlines, it has almost recovered, rising by 16 points to negative 36. The carrier’s buzz score (whether someone has heard anything positive or negative about the brand) follows a similar trend. It dropped to negative 45 at its lowest point but has now recovered somewhat, climbing to negative 18. However, it should be noted that Ryanair remains bottom of the airline sector in terms of both impression and buzz. The airline may soon face more adverse press. The Civil Aviation Authority recently announced a review of ten top airlines’ seating policies to find out whether operators deliberately split up groups of passengers travelling together in order to profit from allocated seating. Data released this week revealed that those who flew with budget airline Ryanair were the most likely to report being separated from their group after deciding not to pay more money to sit with their travel companions. The good news for Ryanair is that its key selling point remains attractive to its core audience. While its value score remains low among the general public (at negative seven), it does far better among its current customers (25). 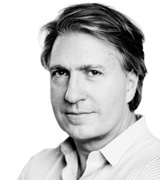 It is a similar story when it comes to the airline’s purchase consideration score. While it currently sits at 20 among the population as a whole, among those who have flown with Ryanair it is a much more solid 62. Ryanair may not win the admiration of all segments but it knows how to play to its target market.